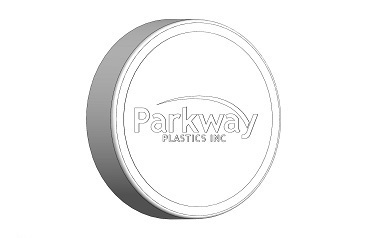 Parkway Plastics Inc offers in-mold customization in addition to our list of injection molding capabilities. For a fee and at minimum quantities, customers can have their logos molded on jars, caps and discs. Parkway is also able to develop and quote certain custom shaped jars, discs and closures upon customer request. Customers who are looking to customize their packaging but don’t have custom tooling in their budget are encouraged to explore Parkway’s stock colorant. Parkway now stocks over 150 colorants, all of which can be reviewed and selected our Custom Colors page. The custom colors aim to help relieve headaches and lead time issues associated with color matching. Color matching is also available.